Building our future Conservation Champions! Within the environmental sector it is understood that people who participated in outdoor nature activities as children are more likely to have pro-environment behaviours and attitudes as an adult. 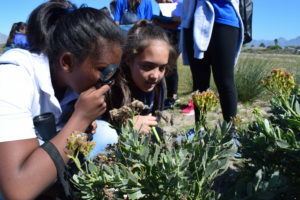 Since the inception of CTEET in 2001 the primary aim has been to provide opportunities for children of Cape Town to experience the outdoors and in the process to develop a curiosity and interest for the natural environment. 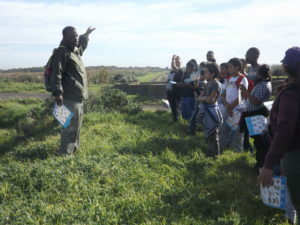 Through this process creating the opportunities for them reconnect with nature through a variety of programmes and activities. 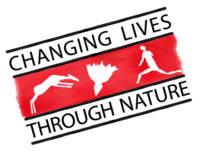 Over the years our scope has widened to focus on further development of individuals who are passionate about nature and hence the joining of the International Eco-Schools Programme and the creation of our Conservation Leadership Programme. Many an adult can attest to the fun and influence an outdoor camp had on them in their childhood with some pursuing a career or participation in environmental activities in their later life as a result. We make these opportunities available to children, many of whom will, without our intervention, never have the experience because of a lack of finances or school coordination. 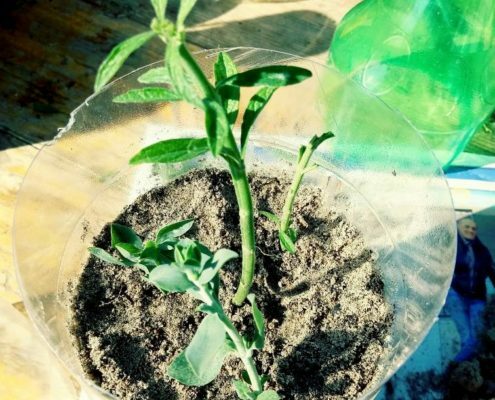 We offer 1-5 hour programmes for schools, linking these to environmental celebrations such as arbor-day and water-week. The programmes offered are linked to the curriculum and give additional support to teachers with worksheets and activities designed to help assess the learning outcomes. 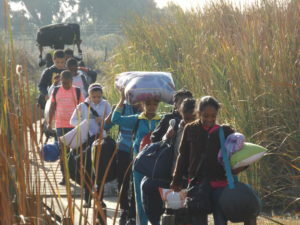 We offer the programmes at our camp sites in Zeekoevlei but these programmes can also be run at the schools for an entire grade or as an outing. 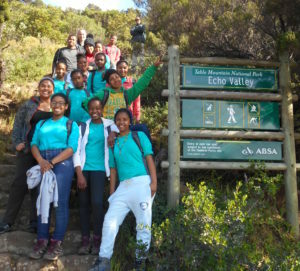 The Conservation Leadership Programme was born out of a desire to identify youth from our Eco-Schools that are passionate about the natural environment and who would like to play a role in effecting change in their homes and communities. Children are brought onto the programme when in Grade 6 (11-12 years of age) and through regular interactions are nurtured over the remaining 7 years of their schooling career. The Eco-Schools Programme is an international programme run by FEE that started in 1992 and now has 48 000 schools registered in 58 countries worldwide. The aim of the programme is to encourage environmental awareness and behavioral change within schools that in turns spreads to the neighbouring communities. 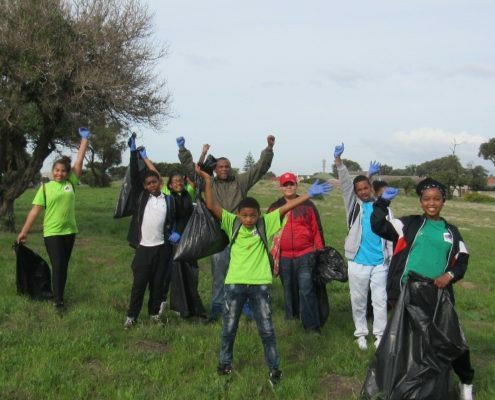 Currently CTEET is involved with supporting over 50 Eco-Schools from two nodes in Cape Town. 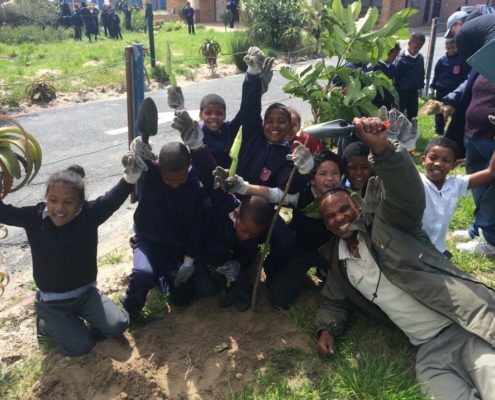 Despite most of these schools being situated in low income communities where access to resources is limited the projects undertaken are remarkable as is the ongoing commitment to the programme with many of the schools having been registered as Eco-Schools for more than 10 years.